Amazing stuff. It's happening now. Dang! 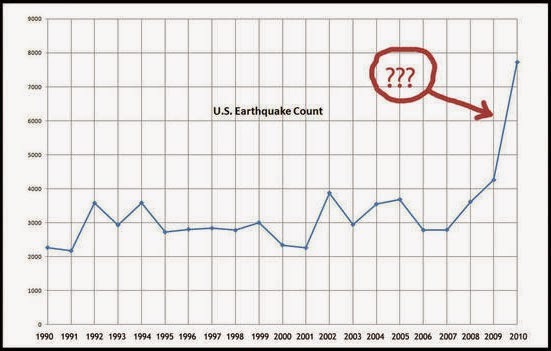 over the last few years much data has come out on the current onset of the Grand Solar Minimum and it's effect's on seismic activity. John Casey (former NASA/NOAA scientist) in his book Upheaval talks about the sun's impact on earthquakes and volcanism when the sun goes to sleep...any thoughts since you wrote the MISA hypothesis? Naw, nothing's changed. Grand Solar Minimums have happened about once every 300 years-ish, but that hasn't terribly affected volcanism. I'm talking about the big epochal volcanic upheavals that occur when there's a large displacement of mass from land to sea. When that happens, the Earth spits fire, or at least that's been the case every time it's happened in the last million years. So I'm just kinda watching the volcanism increasing as the Earth's ice melts and that huge transfer of mass proceeds. There may be some subtle underlying affect from the Grand Solar Minimum buried in there too, for a little while, but in terms of consequences, that'll be basically background noise compared to the effects of the relocation of huge amounts of mass onto the fragile oceanic plates.